The same type of indirect lighting used to light the Music Room's ceiling painting is used to light the coffered barrel ceiling of the South Hall. Electric lighting, especially indirect and subtle lighting, was quite advanced for the period. In the southeast corner of the hall is a door, behind which is a stairway to the second floor bedrooms and master suite. 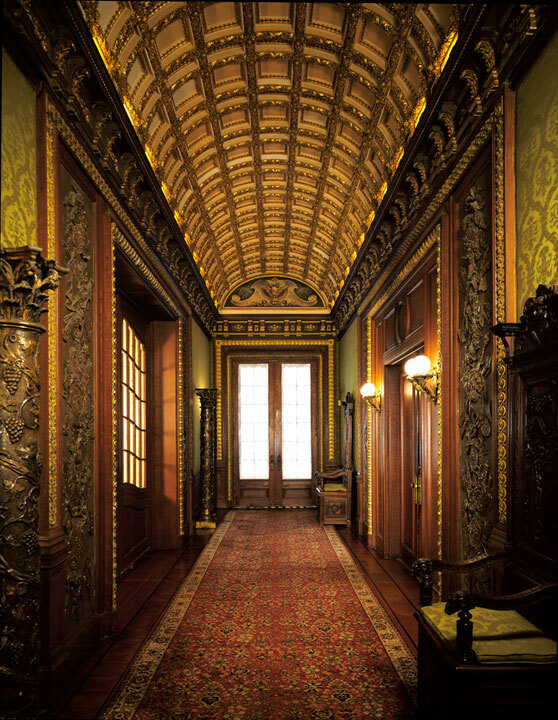 Whitehall's architects designed the door to blend with the walls so as not to upset the hall's symmetry.